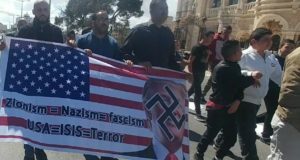 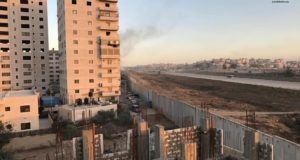 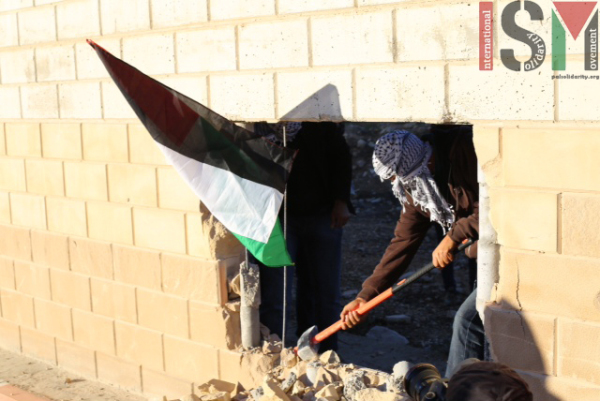 Yesterday, to mark the anniversary of the fall of the Berlin wall today, a direct action took place in Beit Hanina, a neighbourhood in Jerusalem. 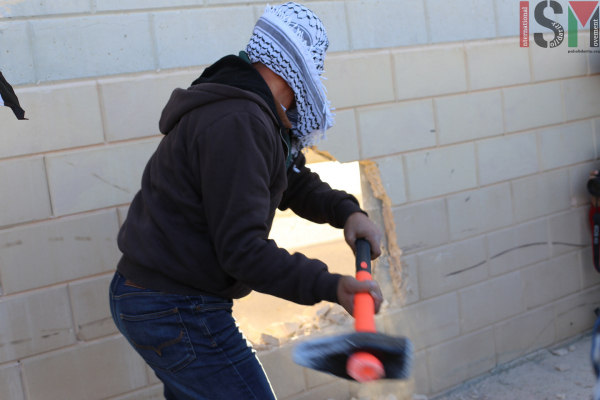 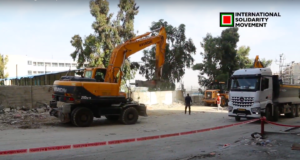 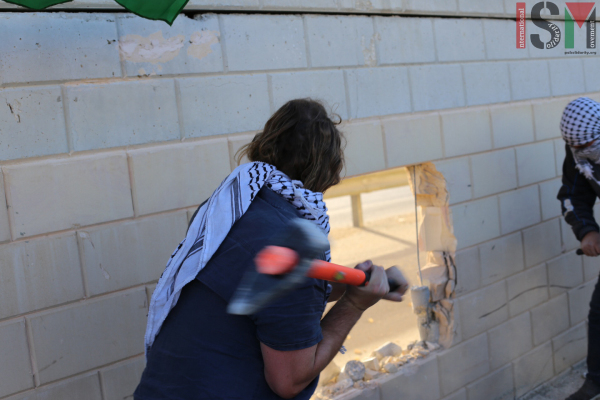 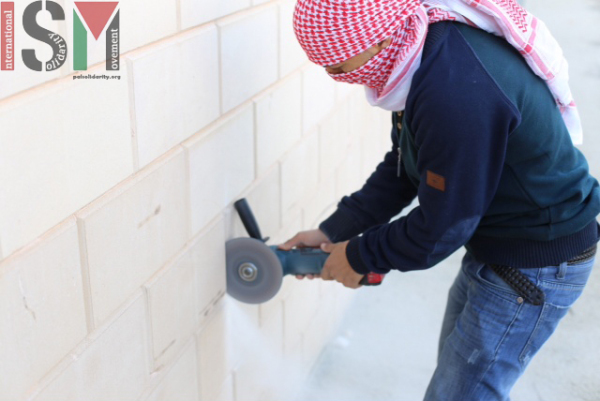 ISM and international volunteers supported the Palestinian-led action, which involved demolishing a section of the Apartheid wall using a sledge hammer and a pick-axe. 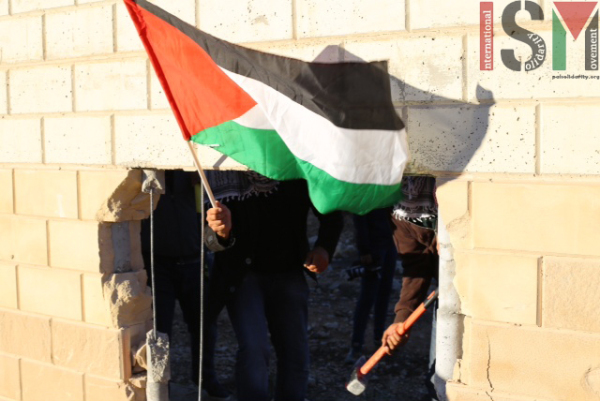 In an International Court of Justice decision in 2004, the Apartheid wall was declared illegal and in direct contravention of international law.